Demon's Souls is a pitch-perfect example of how great risk can make the rewards taste all the sweeter. Getting killed in a single hit from a multi-storey, frog-like monster with a giant meat cleaver and a thirty-foot tongue is always going to be frustrating, but persevere and a couple of weeks later you’ll be wondering how he ever bothered you. 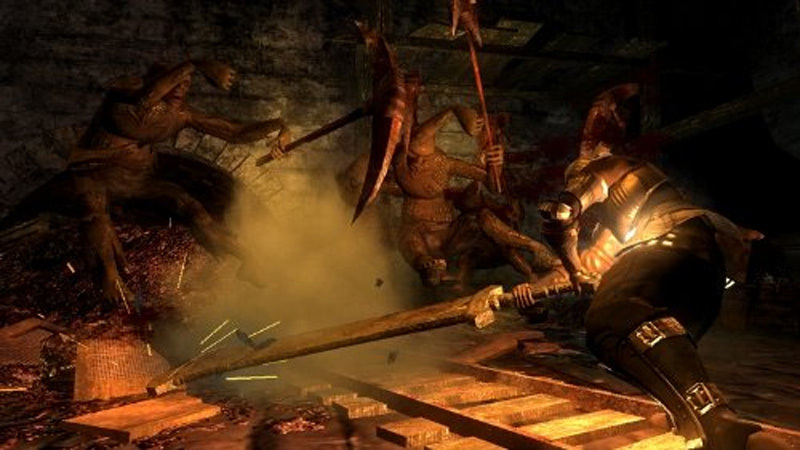 Demon’s Souls pits you against your own incompetence and inexperience, a challenge which often feels insurmountable, but that delivers some incredibly powerful thrills for players brave enough to commit. Demon's Souls is not a game for everyone. Actually, I take that back; it's most definitely something everyone should try, but the look, seemingly unforgiving nature and themes might be a bit off-putting. Don't let them be. Every single person that owns a PS3 should at the very least rent this game to see what all the fuss is about, and those that can remember the good ol' days when games taught through the highly effective use of intense punishment and a heavy price for not playing it carefully should scoop this up instantly. There's a lot to discover, and the game wants you to figure it all out on your own. 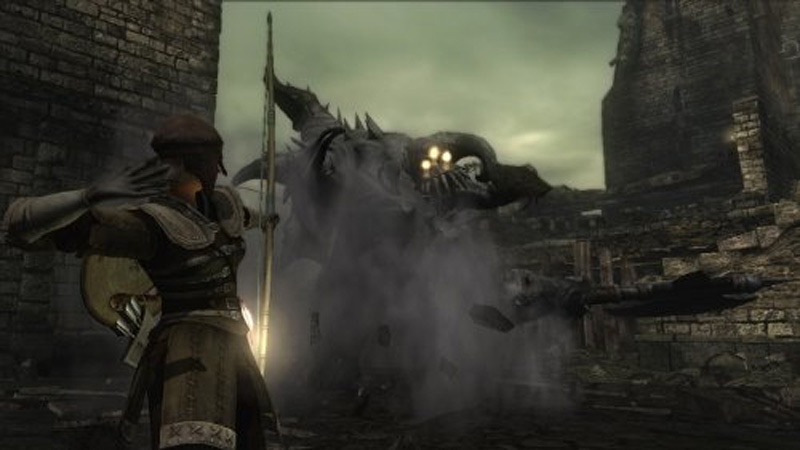 But while Demon's Souls doesn't serve the answers to you on a gilded platter, it gives you a number of refined and inspired tools to help you succeed, and its astounding, oppressive world will cast its spell on you. If you crave true innovation, a fair but relentless challenge, and gripping exploration in which every step has consequences, then you crave Demon's Souls. If Dark Souls converted you to the franchise, and you never played this original masterpiece, there’s no excuse for not scooping this title up on the PlayStation Store. 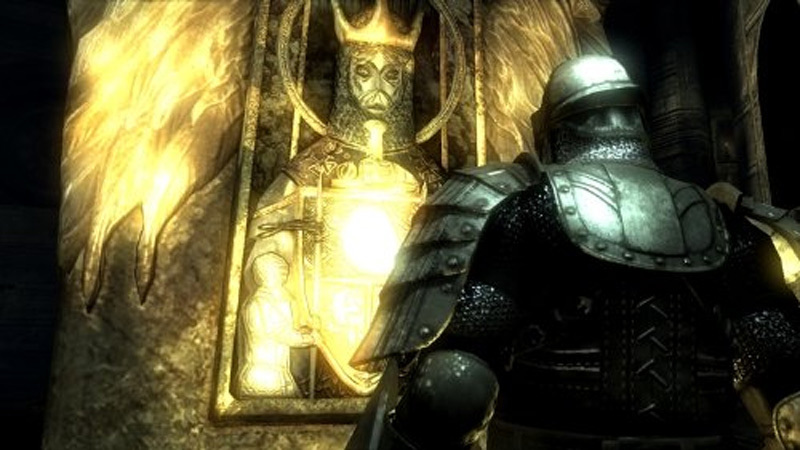 It all started with Demon’s Souls, and while you don’t need this as a frame of reference for when Dark Souls II arrives, it’s a great stand-alone experience if you like the core gameplay pillars of the spiritual successor. Anyone weaned on Zelda and tempered by Diablo will have a strong attraction to the wonders of Demon's Souls. Some will be spurned by the unforgiving opening segment, while others might be jilted by the idiosyncratic and claustrophobic online components. But those that bargain with the darkness will find a nightmare world they'll not want to wake up from. This gumbo of game miscellany hits the innovative spot in a world of sequels. Each level gained is a victory, every minute spent alive a triumph. If the above intrigues you, then your time in Demon's Souls will be quite well spent. Demon's Souls is absolutely compelling; dark, detailed, unforgiving, creatively cruel. It gets under your skin and becomes a personal obsession, daring you to probe further into its worlds, fall for more of its traps and overcome more of its impossible challenges; it slaps you in the face with your own incompetence and dares you to overcome it. 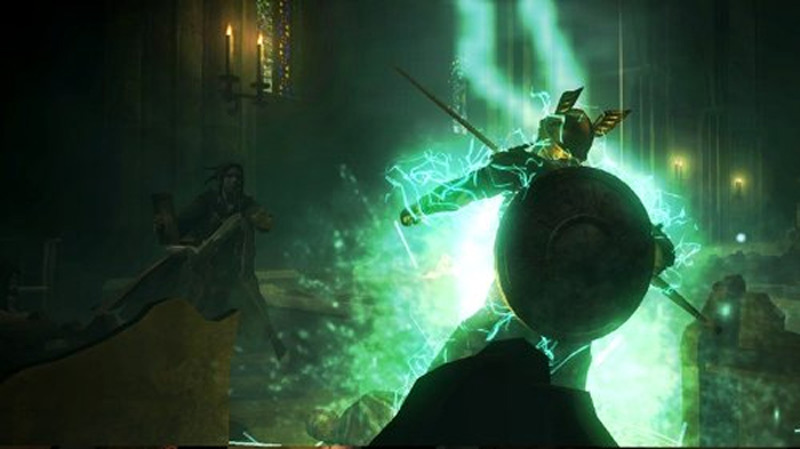 Demon’s Souls is a terrific game, and a welcome addition to the PS3 line-up. Be warned, though. If you object to the occasional whiff of repetition and object to copious amounts of trial and error, Demon’s Souls is not for you. If, however, you are looking for a challenge and a game with extensive replay value, we suggest you get this game on day one. Be prepared for an exciting, brutal, and cruel action RPG experience unlike anything you’ve ever witnessed before hand. Singularity isn't a bad game. It's unlikely you'll finish it and demand your own TMD to reverse your purchase. There's room here for a sequel, and we can only hope Raven pay closer attention to developing the plot and time devices next time around. Un juego profundo en todas y cada una de sus facetas, desde un combate que haría sonrojarse a muchos juegos que se hacen llamar hack & slash hasta una faceta RPG que nos permite un control absoluto sobre la progresión de un personaje que en ningún momento está limitado por su clase inicial. El acompañamiento perfecto es el que probablemente sea el mejor online de esta generación de consolas, una experiencia que logra hermanar a sus jugadores sin necesidad de IDs encima del personaje, salas de chat o servidores dedicados, destacando no sólo por su originalidad sino por lo acertado de sus planteamientos. 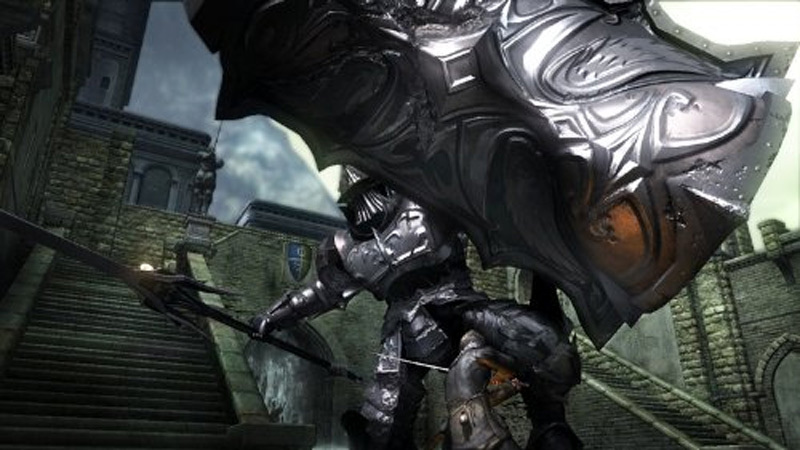 Demon's Souls est sans doute le meilleur RPG disponible sur PS3. Son ambiance glauque à souhait et sa difficulté relative ne plairont sans doute pas à tous les joueurs, mais les amateurs du genre découvriront là un gameplay solide et exigeant allié à des fonctionnalités online vraiment originales. En effet, vous aurez non seulement la possibilité de profiter des conseils des autres aventuriers, mais aussi de vous lancer dans des parties coopératives ou dans des affrontements en PvP. Abrupt et presque archaïque au premier abord, pas toujours à la hauteur techniquement, le titre distille sa richesse uniquement à ceux qui feront l'effort de le fréquenter au-delà des premières heures parfois décourageantes pour plonger corps et âme dans son univers hanté et ses mécanismes passionnants. Déjà solide en solo, l'aventure prend une toute autre dimension lorsqu'on mène son périple en ligne avec ou contre d'autres joueurs. 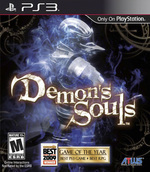 D'une durée de vie exemplaire, Demon's Souls offre aux possesseurs de PS3 un grand jeu de rôle, tout simplement. Come ampiamente prevedibile Demon’s Souls si conferma, anche nella sua versione europea, una delle migliori esclusive del parco titoli Sony. Il lavoro svolto dagli sviluppatori è infatti ottimo sotto tutti i punti di vista e non c’è dunque alcun motivo, se non la sua eccessiva difficoltà, per cui un qualsiasi possessore di una PS3 dovrebbe lasciare questo titolo sugli scaffali. Se vi piacciono le sfide difficili e non temete l’assuefazione videoludica, questo è senza dubbio un prodotto che non dovete lasciarvi scappare. Demon’s Souls is een geweldige game geworden. Het zal even duren voordat je goed in het spel zit, en door de afwezigheid van opslagpunten kan de frustratie soms hoog oplopen. De epische eindgevechten met de demonen maken gelukkig wel een deel goed. De mogelijkheden in de game zijn ook erg groot, van het upgraden van wapens tot het leren van magische spreuken: het kan allemaal. De totale sfeer van de game is geweldig en hoewel het natuurlijk allemaal fictie is, komt alles erg geloofwaardig over. Demon's Souls är bitvis opolerat, bitvis obalanserat och ofta frustrerande. Men samtidigt är det ohyggligt beroendeframkallande och det känns aldrig som att all tid jag har lagt ner på det är bortkastad. Demon's Souls går bokstavligen att spela i hundratals timmar och det är en frisk, nostalgidoftande fläkt i den stagnerade japanska rollspelsvärlden.